As the nation was still in the midst of the Civil War in 1864, three women decorated the graves of soldiers buried in the Boalsburg cemetery. The gesture by Emma Hunter, Sophie Keller and Elizabeth Myers was the start of a tradition, one which stakes Boalsburg's claim as the birthplace of Memorial Day. Though other towns lay claim to the same title, there's no disputing that the Harris Township village's annual commemoration has become a major draw for people from central Pennsylvania and beyond. 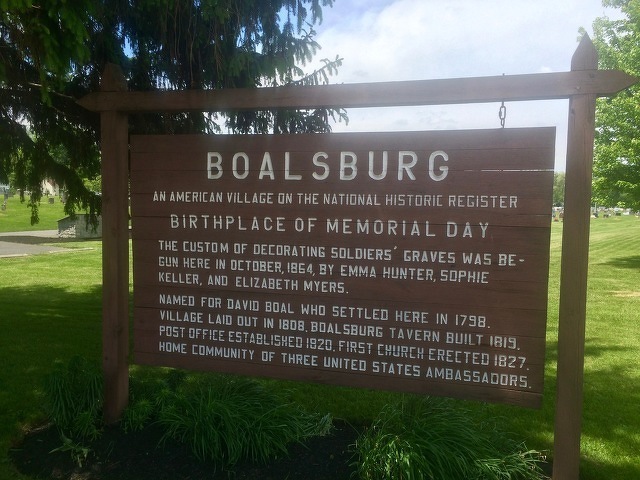 And once again this year, Boalsburg's Memorial Day weekend will be filled with fun events, celebrations of heritage and honoring the sacrifices of the fallen. The celebration kicks off Thursday night with the start of the Boalsburg Fire Company Carnival and continues through to Monday night, concluding with the 6 p.m. memorial service at the cemetery. U.S. Sen Bob Casey will be the featured speaker at the service. Harris Township Manager Amy Farkas said a member of Casey's staff has ties to Boalsburg and that the senator's office approached the township about Casey participating in the event. Last year, Casey sent a letter that was read during the service. The carnival will be held on the carnival grounds behind the fire station through Monday (see below for times). It will feature midway rides and games and multiple food stands with barbecue chicken, hot sausage sandwiches, hamburgers, hot dogs, french fries and more. Saturday is parade day with lineup at 3 p.m. and the parade starting at 5 p.m. The carnival will be open after the parade until 10 p.m. The parade brings fire companies from around the county and gives them a chance to show off all the hard work they do to keep their equipment in tip-top shape. It also serves as a friendly competition for area emergency responders. All fire apparatus and ambulance are judged prior to the parade, with the chance of winning a trophy for being the best in their class. On Saturday and Sunday, the Pennsylvania Military Museum hosts World War II Revisited: Living History Bivouac, with living historians encamped on the grounds, portraying field life in the European Theater of Operations in 1944 and 1945. A short history of the war begins at 12:45 p.m., immediately followed by a tactical demonstration against German opposition. The bivouac is open to the public 10 a.m. to 4 p.m. and Joey Vincent will provide musical entertainment at 2:30 p.m. on Saturday. Memorial Day on Monday is A Day in Town, with a full slate of events. The day kicks off with the 38th Annual Boalsburg Memorial Day Run. Registration begins at 7 a.m. and the 3.8 mile run or walk begins at 8:30 a.m. in Blue Spring Park , winding through the historic village. Festivities take place from 9 a.m. to 4:30 p.m. with live music and entertainment, food, more than 150 vendors, the Boalsburg Garden Club Plant Sale, a children's carnival, blacksmithing demonstrations, and fruit pie contest. Boal Mansion Museum also will be open from 9 a.m. to 4:30 p.m. with Civil War re-enactors, live music, food, arts and crafts vendors, historic demonstrations and tours of the armory and Columbus Chapel. From 9 a.m. to 5 p.m. at the Military Museum grounds, the regional chapter of the Antique Automobile Club of America will host its annual car show, with pre-war through modern classics on display throughout the grounds. The museum will be open from 10 a.m. to 5 p.m. The day concludes with a walk to the cemetery from the Diamond at 5:45 p.m. and a memorial service at 6 p.m.
6-10 p.m. Boalsburg Fire Company Carnival, Wristband Night - $15 unlimited rides. 10 a.m.-4 p.m. Blacksmith Shop demonstrations on the east side of the Township Building, 224 E. Main St.
11 a.m.-4 p.m. - Armory and Chapel tours on the hour (fee); medieval knight combat; vintage carriages and bicycles; 19th century ice cream making at Boal Mansion. 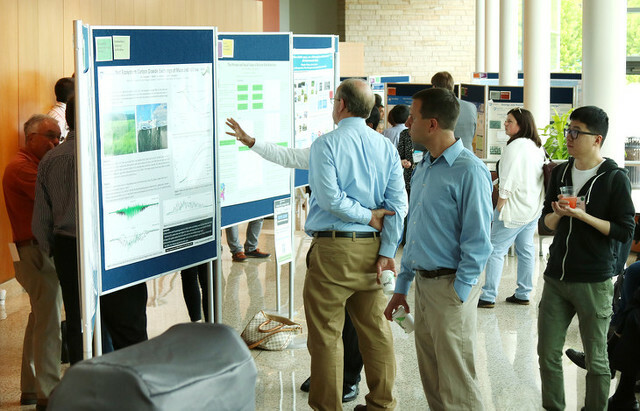 UNIVERSITY PARK, Pa. — Penn State's third annual Energy Days conference will be held on May 30 and 31 at The Penn Stater Hotel and Conference Center.